Katy Perry has a new music video for the song Roar. On her Vevo YouTube channel it says that it’s a “lyrics video”. 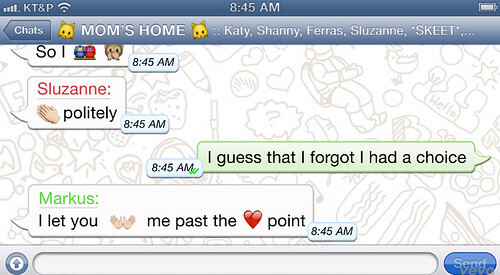 It was released on 12th August and it shows Katy texting the lyrics of the song to her friends using an iPhone 5 while using Emoji characters. 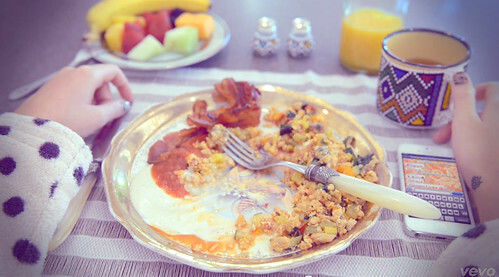 She’s texting while doing all kinds of daily activities: eating breakfast, going to the bathroom, sitting in the passenger side of a car and in the studio. In the end she’s even taking a bath with a phone. The real and the only star in the video is a white iPhone 5: you can see it in several scenes and the whole video is basically one large iPhone’s screen that serves as a message board. Interesting that it doesn’t look like the iPhone’s native messaging service iMessage, but the third party app WhatsApp. Yo man come play this game zSilencer!